What is silent auction software? Silent auction software is designed to help you with your charity auction event from start to finish, from tracking your procured items and selling customized ticket packages. It can facilitate communication with auction donors, and it includes engaging tools like mobile bidding apps. If your organization has never hosted its own auction event before, or if you’re looking to refine your nonprofit’s auction strategies, it all starts with using the right tools. 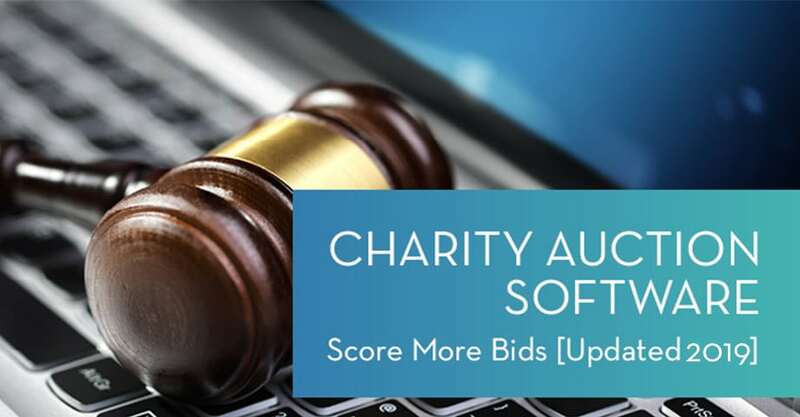 Charity auction software can take your events to the next level, but only if you put in the time to learn more about it! Event management. Track and view all event details and data in one central online location, from basics like date and time to auction items and RSVPs. View the results of multiple events side by side. Item and package management. Record all important auction item data to create a master list for easy item consultation throughout the planning process. You can also group related items into packages to maximize revenue. RSVP management. With event fundraising software, you have all of the tools you need to manage guests. Accept RSVPs online, track event-related transactions, auto-assign bidder numbers, and group guests into tables with ease. CRM integration. Silent auction software often supports fluid integrations with popular CRMs. 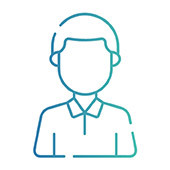 Automatically filter attendee data and interactions into donor profiles to pinpoint the prospects at your auction worth focusing on and to create targeted post-event stewardship plans. Bid sheet and table tent generation. If you’re hosting a paper auction, software takes some of the work out by auto-populating bid sheets for you. This feature can come in handy for creating table tents for your silent auction display, too! Reporting and analytics. Run reports on your guests, auction items, and overall event performance. Software will give you powerful insights into where you can improve your auction next time around to make it more successful. 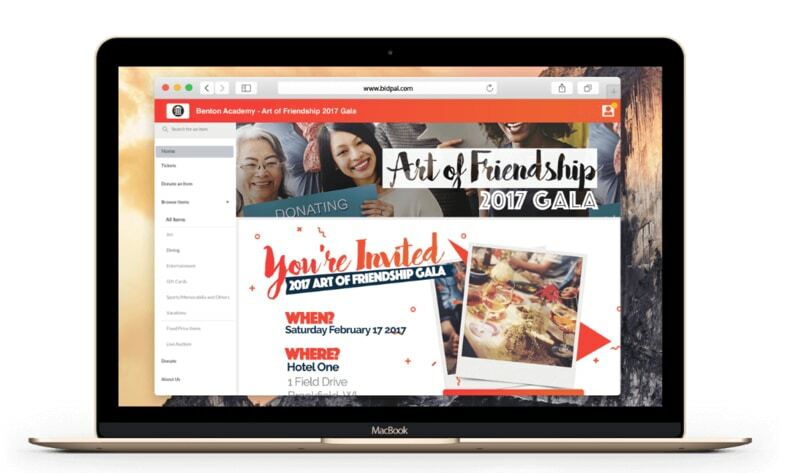 Check out the screenshot above for an example how charity auction software with event planning tools can boost your next auction project. 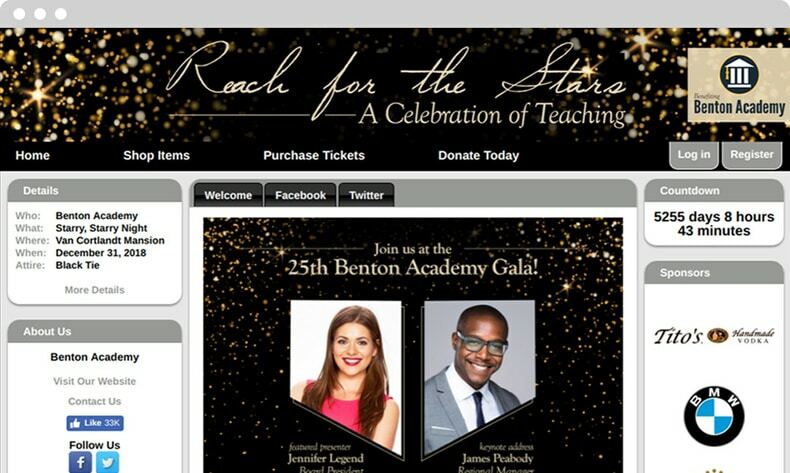 This school used event fundraising solutions by OneCause to create an unforgettable experience and implement gorgeous marketing strategies, like their event homepage. Learn more about OneCause auction and event fundraising software. Item listings. Auction sites use the item records in your software to create item listings on your site. Use your site as a virtual auction catalog to advertise items to supporters in advance. When they see something they want, they’ll have to attend! Online bidding. If you’re hosting an online auction alone or in conjunction with your live or silent auction, your auction site will be your venue! You can open up online bidding so that supporters can place bids with the click of a button right from your item listings. Online ticketing. Build a customizable event registration form on your online auction site to provide supporters with a convenient ticketing option. You can even set multiple ticket packages and sponsorships for added flexibility. Event details. Brand your site to your event and feature stories, photos, and videos to share your organization’s mission and reasons for hosting the auction. Promote your event by listing details such as date, time, location, corporate sponsors, and more. Mobile bidding registration. Hosting a silent auction with mobile bidding? Event sites include a page where supporters can learn how to use the software and pre-register their credit cards so they’ll be ready to start bidding the moment they get to the venue! Fixed price items. Your auction site is a powerful fundraising tool. Set up an online storefront to sell fixed price items, like merchandise and raffle tickets, and accept standard donations to raise even more money through your event! Here’s another auction page that a school created in conjunction with OneCause online auction software. Here, the school can sell tickets and update their supporters easily on one page. A well-designed auction website is a powerful tool for your event! Explore this example OneCause auction website. Item browsing. 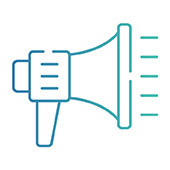 Mobile bidding takes the item listings from your event site so guests can browse items and place bids without even having to consult your display. Start dismantling your display earlier while leaving bidding open for as long as possible! Automated bidding. 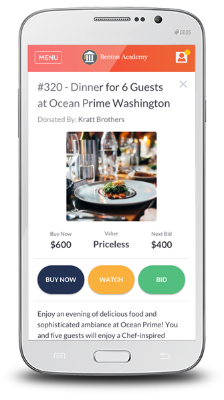 With mobile bidding, guests can set maximum bid amounts on the items they’re watching and have the software bid for them automatically. Never again will your organization miss out on receiving the highest bid! Text notifications. Send attendees text messages throughout the night to keep them engaged with your silent auction. You can automate the software to send guests notifications when they’ve been outbid, reminders when the bidding is about to close, and more. Automated payment processing. Mobile bidding requires that donors pre-register their credit cards to use it. Once it’s time for the silent auction to close, the software will automatically determine winners and process their payments, eliminating the need for a long checkout process. Additional donations. Mobile bidding software offers guests the ability to make donations during a live appeal or whenever the fancy strikes. Providing guests with another way to give is a surefire way to raise more money. Auction scoreboards. Auction scoreboards give guests real-time updates throughout the silent auction. Feature the status on popular items, live Twitter streams, thermometers showing progress toward your fundraising goals, and more to ensure your auction is always exciting. Mobile bidding software is an extremely engaging option to offer your event guests. Keep them entertained and eager to compete for your top items all evening! Mobile bidding can also streamline the entire management process for you when used alongside the right fundraising event software. Check out mobile bidding software from OneCause. There are several major benefits to using charity auction software to plan and manage your auction event. If you’ve ever hosted an auction the old fashioned way, you can probably already imagine what some of these benefits are. 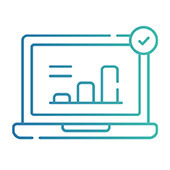 Going digital streamlines the entire process from start to finish, making it easier for your team to meet its goals and helping your learn more for next time. 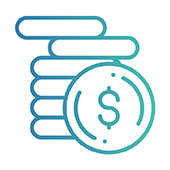 The benefits of using charity auction software fall into two main categories: planning benefits and management benefits. Create a more convenient donor experience. Since it allows donors to access many facets of your event online, silent auction software makes participating in your auction more convenient. When guests can quickly purchase tickets anytime and automate bidding with their phones, you’re sure to see a bigger turnout and more bids! Plus, it simplifies the logistical headaches of planning; online check-in and up-to-date guest lists make planning a breeze. Streamline the whole planning process. Silent auction software can automate many tasks for your team, making planning your auction a much simpler process. Plus, since these activities are centralized, you won’t have to waste time transferring data or switching between platforms to consult various information sources. Check your guest list, item catalog, seating arrangements, and schedule all in one place with comprehensive software. Gain deeper insights into your results. Software houses all event planning efforts under the same roof so they can talk to each other and provide your organization with a complete picture of your silent auction. Robust reporting and analytics features can give you additional insights so you can keep honing your event until it’s the best it can be. Learn more from your past events to continually host better, more effective auctions in the future. Reach more participants and donors. With auction sites and mobile bidding, all bidding takes place online. That means that even donors who can’t make it to your auction can still participate. Having more participants will naturally make your silent auction more profitable, since there will be more people to provide funding! Plus, a larger pool of competition among bidders can create exciting bid wars over your top auction items! Simplify logistics at every step. Since many tasks are automated and run through the same platform, silent auction software can simplify your event execution, too. In particular, mobile bidding takes care of most of the item checkout process (the most involved auction logistic if you’re using bid sheets). Easily prepare ahead of time by generating a real-time list of winners, and even begin the check-out process before the event is over. Silent auction software enables organizations to provide guests with additional donation avenues (for example, donation portals and fixed price items like t-shirts and swag bags), helping them raise more money. In fact, all of the benefits we’ve discussed in this section result in more profitable events! By organizing nearly every aspect of your event, auction software can significantly boost your donation intake. Any new fundraising tool is an important investment for your team. After all, fundraising is the lifeblood of a nonprofit organization. This means it’s crucial that you take the time to carefully weigh your options whenever you’re in the market for new software. When it comes to silent auction and event fundraising software, purchasing a cloud-based model (one that can be accessed via a web browser) is crucial. Using cloud-based software enables you to access all of the data and capabilities you need at the venue. Plus, if there are multiple team members working on the auction, cloud-based software makes coordination among staff and volunteers easier. For-profit auction software and nonprofit auction software possess a very different set of features. For-profit software was designed for companies who run specialized auctions on a frequent basis. Nonprofit auction software, on the other hand, was built to address the specific needs of fundraising auctions. Be sure to choose a vendor who specializes in nonprofit auction software to ensure you’ll have the right capabilities. Work with a vendor who provides support. Alongside of selling software solutions, many vendors offer event support services to help nonprofits get their software set up and utilize it to its full potential. If this is your first time using silent auction software or hosting a large event, you may want to opt for a vendor with onsite event support. Not to mention, all nonprofits should be working with vendors who provide timely IT support, in case any technical issues ever arise. Consider your future event planning needs. Does your organization host a large number of silent auctions and fundraising events, or is your silent auction a one time or once a year occurrence? Anticipate your event planning needs to make sure that you’re purchasing a software solution that can grow with you. 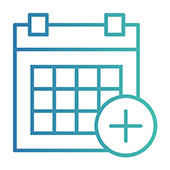 If you’re planning on hosting multiple events a year, you’ll need to work with software that enables you to plan more than one event annually. Custom pricing options. Alongside being able to accept standard bids, your silent auction software should provide you with a range of pricing options, such as the ability to sell fixed-price items and set “buy it now” prices. Scalabale bidder capacity. Silent auction software is often priced by how many bidders it can accommodate. Make sure you’re buying software that can support all of the participants you’re anticipating. Scalable item cataloging. Some silent auction software platforms also place a cap on the number of item records you can store. Make sure to buy a platform that’s big enough to accommodate all of your auction items. Event site customization. Shop for a platform that gives you plenty of control over customizing your auction site. You should be able to brand your event site to your silent auction and finely tune the site’s features. Features like these are often taken for granted, but they can have a huge impact on the success of your charity auction. Your software should fully support your event at any scale as well as provide plenty of customization options and marketing tools. Carefully weigh your options, but remember that the ideal solution will offer comprehensive support and the flexibility to adapt your tools to events of any size. OneCause is a powerful choice for silent, live, and mobile auctions. 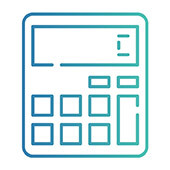 Our software supports an unlimited number of events annually, providing your organization with one convenient place for managing all of your event fundraising needs. OneCause pioneered mobile bidding. That means we have unparalleled experience in supporting nonprofits with their software and developing this solution into a powerful tool that can maximize silent auction bids. OneCause supports integrations with a wide range of nonprofit CRMs. With seamless integrations, collecting auction data in your donor profiles has never been easier! OneCause has partnerships with many other auction services. We can help you procure amazing items, find an auctioneer, staff your event, and more to bring your silent auction to the next level! Charity Auctions: 12+ Insanely Useful Tips. Now that you know which silent auction software to use, check out these tips for planning your charity auction. Will it be a silent, online, or live auction? Plus, learn how to maximize your bids and more! 115+ Creative and Profitable Charity Auction Item Ideas. Need help thinking of auction item ideas? We’ve got a list of 115 ideas that are sure to please. Plus, with the help of your software, managing them all will be a piece of cake. Silent Auction Planning Guide. Now that you’ve chosen the right software, learn all about the planning that goes into setting up a successful auction. Get some tips your software might not even know! Take a look at our silent auction guide.